Mohammad-Jafar Montazeri was born in Qom in 1948. He was educated in a seminary. During his tenures in various high-profile positions within the Islamic Republic of Iran’s Judiciary, Mohammad-Jafar Montazeri has become complicit in serious human rights violations. As Chief Justice of the Administrative Justice Court, Mohammad-Jafar Montazeri played a key role in the religious persecution of Baha’i Citizens. 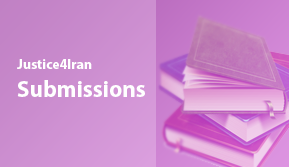 Montazeri denied them access to education by ruling that Baha’i citizens are forbidden from university enrollment. He has also claimed that the Baha’i religion was invented by British and Israel governments, and that it is wrong to acknowledge Baha’i people in society or have social and economic relationships with them. As Prosecutor General of the Islamic Republic, Mohammad-Jafar Montazeri is the main member of the Supreme Council of Cyberspace. Therefore, Montazeri is responsible for the filtering of internet and the censorship and surveillance of internet users. He has claimed that 16,000 to 20,000 Telegram channels are censored every week and stated that this figure is not satisfactory enough, calling for stricter censorship of cyberspace. As Prosecutor General of the Islamic Republic, Mohammad-Jafar Montazeri played a key role in suppressing the late 2017/ early 2018 anti-regime protests by publicly stating that the Judiciary and Ministry of Intelligence forces would react harshly to anyone who disrupts civil order. Montazeri also asked people to identify the protesters to intelligence forces. He also failed to investigate and covered-up the suspicious deaths of several protesters. As Prosecutor General of the Islamic Republic, Mohammad-Jafar Montazeri failed to investigate the suspicious deaths of Sina Ghanbari and Vahid Heidari. Both men died in detention. Montazeri claimed that the deaths were suicides and the men were drug addicts, but these claims were never proven by evidence. In the case of Sina Ghanbari, a video released by authorities, claiming to show his suicide, did not depict any such event and only showed the bathroom at Evin Prison where Montazeri claimed Ghanbari committed suicide. In the case of Vahid Heidari, lawyer Mohammad Najafi claimed Heidari was murdered in prison and was found with a 10 cm laceration on his head. 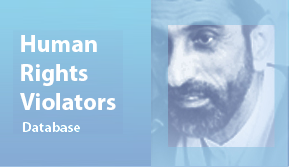 Mohammad Najafi was subsequently imprisoned for criticizing the regime. 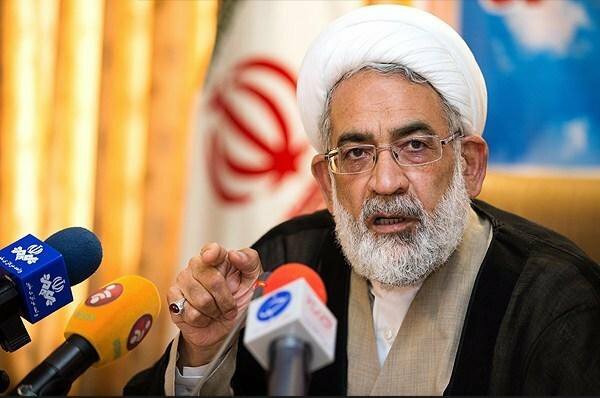 As Prosecutor General of the Islamic Republic, Mohammad-Jafar Montazeri is responsible for the torture, unfair trials, and heavy sentences carried out against members of the Gonabadi Dervish community. Montazeri has claimed that the Judiciary has reason to believe the demonstrations by the community have foreign origins and has described the Dervishes as an unruly mob. Montazeri is also responsible for the deaths of two Gonabadi Dervishes, Mohammad Raji and Mohammad Salas. In the case of Mohammad Raji, Montazeri denied the claim that Mohammad Raji was killed in detention. Raji’s daughter, Tayebeh stated that her father was arrested and beaten earlier that year, so severely that he was in an emergency condition. Just before his death, she said authorities called her family and instructed them to bring Mohammad Raji’s photos and identity documents to the police station. There, they were told that a detainee, implying Raji, is in a coma after being beaten. Authorities called the family later to announce his death. In the case of Mohammad Salas, Montazeri’s prosecutors tried and executed the Gonabadi Dervish unfairly. Salas was accused of killing a group of police officers during a demonstration. There were many inconsistencies and ambiguities in the arguments and evidence used against him. Salas was executed depite this and also having denied the charges. He was also deprived of access to his lawyer at several critical points in his trial. As Prosecutor General of the Islamic Republic, Mohammad-Jafar Montazeri is responsible for the arrests and heavy sentences carried out against young women peacefully protesting compulsory hijab laws. Montazeri appeared on a television program and threatened protesters, stating that the regime would not stay silent about the protests. Montazeri described the protesters’ actions as criminal and sinful. He also demeaned the protesters and their movement by calling their actions immature and claiming that they are being led by foreign influences. Montazeri is also responsible for the covering-up and failing to investigate the suspicious death of Kavous Seyed-Emami while in prison. He claimed that Seyed-Emami’s death was a suicide.